SHREVEPORT, La. 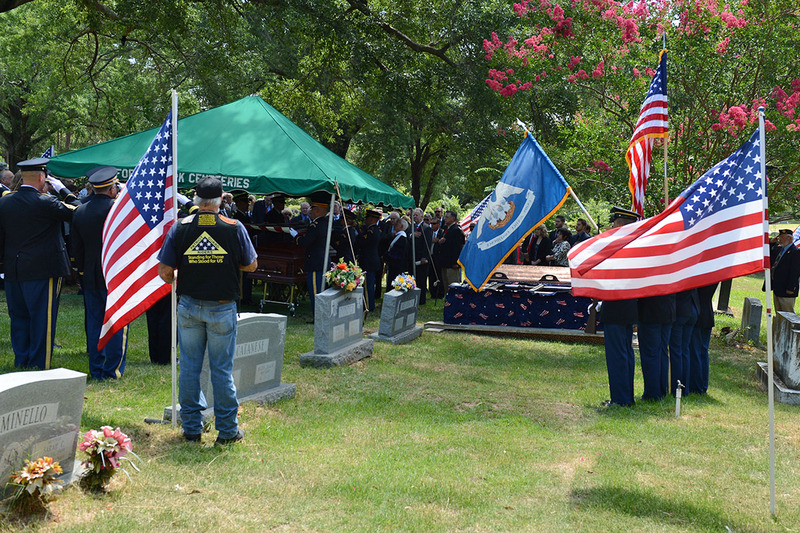 – Retired Maj. Gen. Ansel ‘Buddy’ M. Stroud Jr., former adjutant general of the Louisiana National Guard, was laid to rest with military honors at the Forest Park Cemetery in Shreveport, July 7. Stroud passed away at the age of 89, July 1. Stroud served as the adjutant general of Louisiana for 17 and a half years, making him the second longest serving top leader of the LANG. He served under four governors and his career spanned more than five decades. 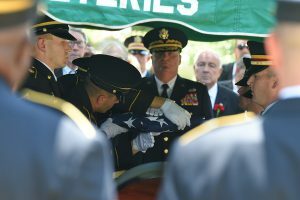 During his tenure, his vision set not only the LANG, but the National Guard as a whole on a path that includes programs still in use today such as: the Youth Challenge Program that is now in more than 37 states, the State Partnership Program with more than 76 partner countries and the Active Guard Reserve program for full-time manning for the Guard and Reserves. Five retired general officers, four colonels and one lieutenant colonel served as honorary pall bears. 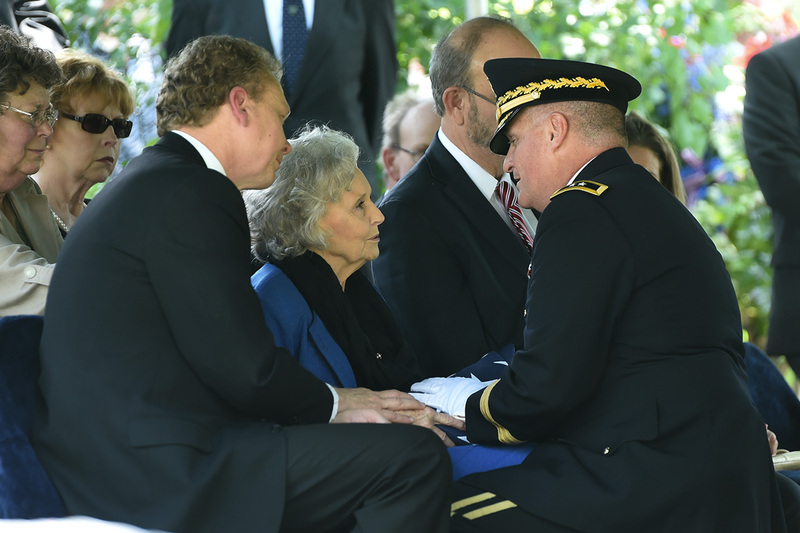 Gen. Frank Grass, 27th Chief of the National Guard Bureau, also attended the ceremony. “Many of the things we consider a success in the Guard today [can be] attributed to General Stroud. I was one of the folks that had the opportunity to benefit from General Stroud’s vision years ago when we started going to Central America in the 1980s. I had the opportunity as a young captain … to deploy outside the country and go on a humanitarian mission,” said Grass. 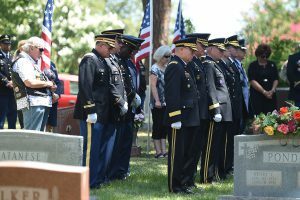 Grass spoke of later meeting Stroud, whom he called a “tremendous southern gentleman”, at Jackson Barracks in New Orleans more than 20 years ago to ask for Louisiana’s support for an another overseas deployment training mission. “He said, ‘We’ll do it.’ He was a tremendous visionary … he just set us on the path for so many things,” said Grass. Stroud joined the Army in 1944, and went on to become a commissioned officer in 1946. 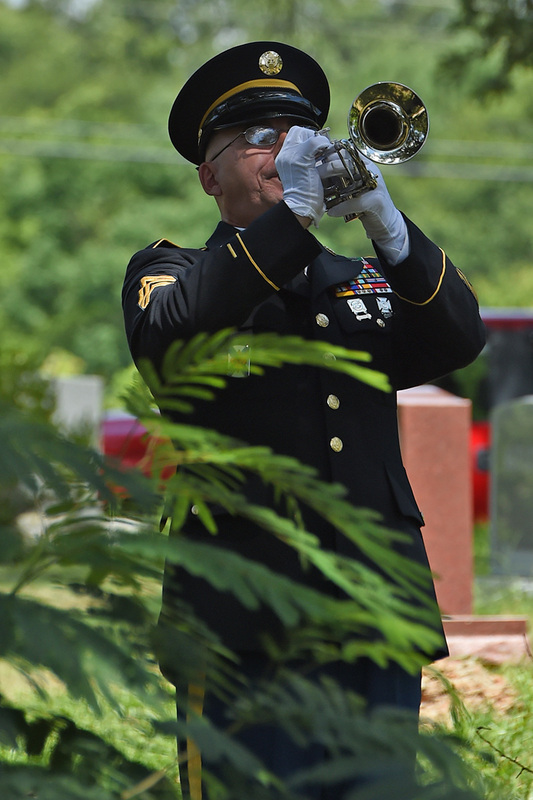 He joined the Louisiana Army National Guard in 1947, and retired November 8, 1997, with over 53 years of service. In 1977, Stroud was selected to direct a Department of the Army study on fulltime training and administration for the Guard and Reserve. This was known as the “Stroud Study” and was accepted by the Department of the Army as a guideline for requirements of the National Guard and Army Reserve for full-time manning programs. This study was the basis for launching the AGR program. Gov. 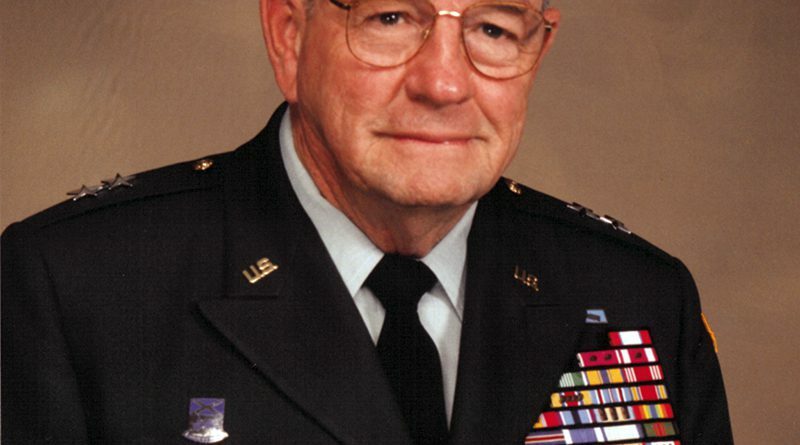 David Treen appointed Stroud as the adjutant general of the Louisiana National Guard in 1980. 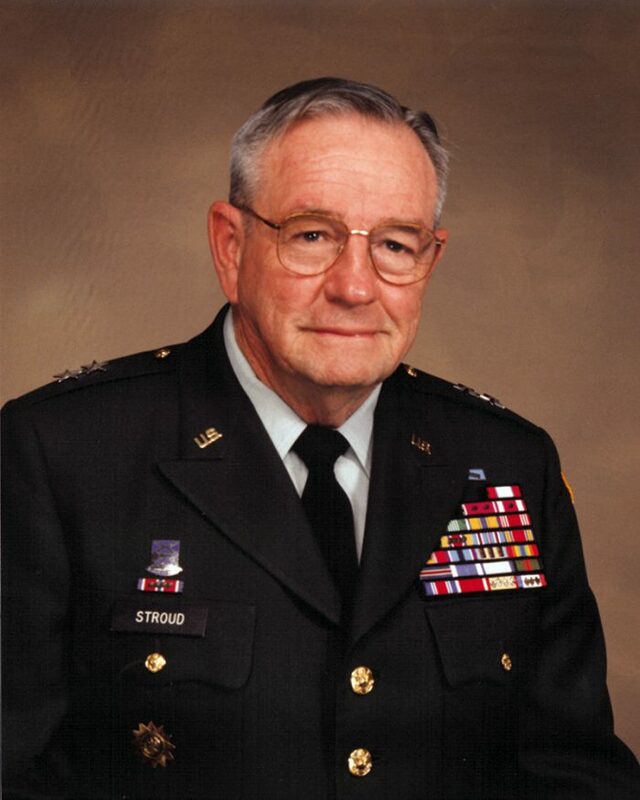 Stroud was also appointed as the director of the Louisiana Office of Emergency Preparedness in 1989, elected president of the Adjutants General Association of the United States and served as president of the National Guard Association of the United States. In 2011 he received the Lt. General Raymond S. McLain Medal, which is presented to outstanding Army National Guard leaders by the Association of the United States and was also the first recipient of the National Guard Association of the U.S. President’s Award. than any other state, in support of Operation Desert Storm. The Guard received high praise for their efforts during Desert Storm and for their response to Hurricane Andrew in 1991. 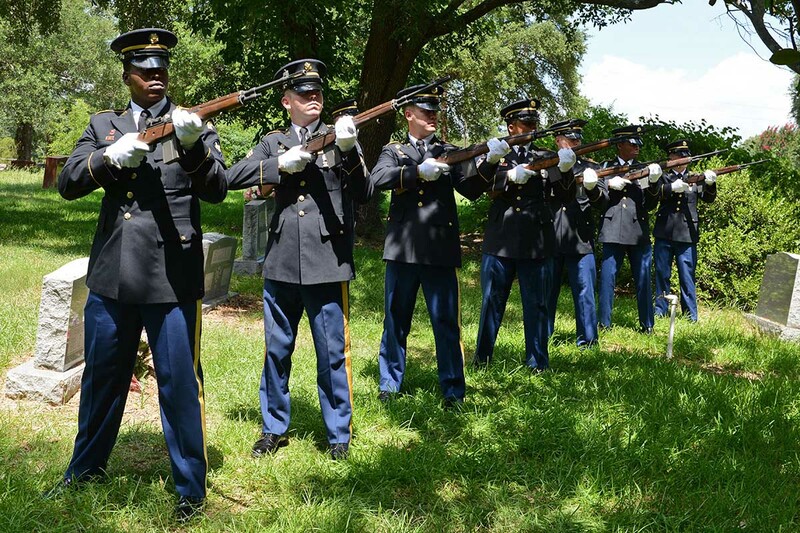 In 1997, the Ansel M. Stroud Jr. History and Weapons Museum at Jackson Barracks in New Orleans was dedicated to his contributions to the organization and preservation of LANG history. Stroud was born April 5, 1927, in Shreveport. He graduated from Belcher High School and went on to get a Bachelor of Science in Liberal Arts from the University of the State of New York. He was married to his wife, Jane Stroud, for 21 years. He leaves behind four sons, five stepchildren and seven grandchildren. “I am, and hope to be, a God fearing man that did his best and have asked for God’s mercy and forgiveness,” Buddy Stroud, Aug. 9, 2010.